The Journal of Literature and Science is a peer-reviewed academic journal, published twice annually in Summer and Winter. 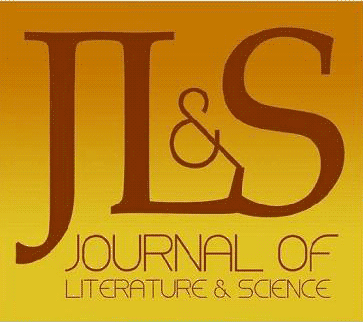 The JLS was founded in 2007, and produced its first issue at the beginning of 2008. It was originally hosted by the University of Glamorgan’s Research Centre for Literature, Arts and Science (2007-12), before moving to its own independent online site in March 2013, with the support of the University of Westminster. The journal’s first, and present, editor is Professor Martin Willis, Professor of English at Cardiff University. The Advisory Board includes leading scholars of literature and science from around the world. The JLS is published in digital format, is entirely open access, and requires no subscription fee. The JLS is dedicated to the publication of academic essays on the subject of literature and science, broadly defined. Essays on the major forms of literary and artistic endeavour are welcome (the novel, short fiction, poetry, drama, periodical literature, visual art, sculpture, radio, film and television). The journal encourages submissions from all periods of literary and artistic history since the Scientific Revolution; from the Renaissance to the present day. The journal also encourages a broad definition of ‘science’: encapsulating both the history and philosophy of science and those sciences regarded as either mainstream or marginal within their own, or our, historical moment. However, the journal does not generally publish work on the social sciences. Within these confines, essays submitted to the journal may focus on the literary and scientific productions of any nation or group.